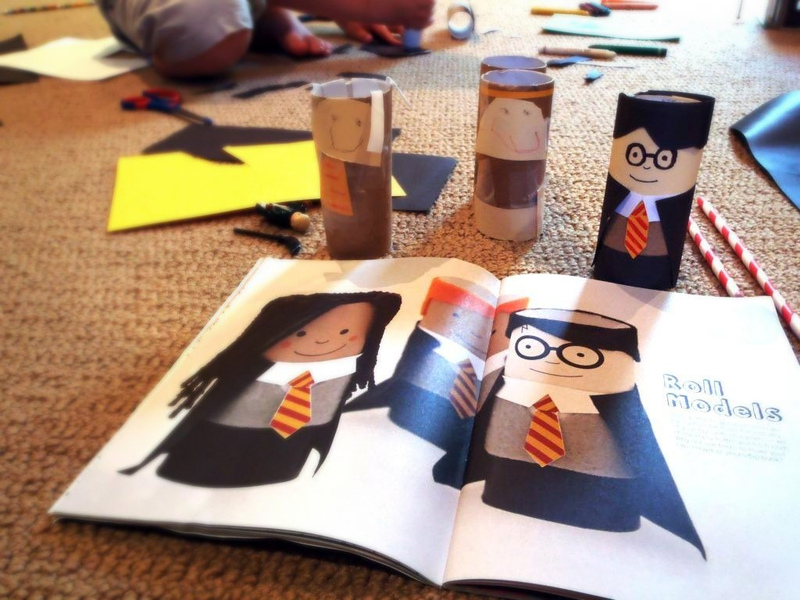 Following this spot of Harry Potter toilet-paper roll craft, 5-year-old Bargy had a stroke of genuis: a bathroom emergency requiring 100 sheets of 2-ply. Apparently we needed a Hagrid. Contains art, craft, cooking, storytelling, creative writing, drawing, gardening, games,play & colouring. Ages 5 - 10. Well hello Ms Hoppo Bumpo. Tis lovely to see you in this space! Glad to have you back! A least your kids have a lofty crafty purpose. Mine do it for the pure pleasure of seeing those sheets of 2-ply fly from the roll onto the toilet floor. Kitchen roll tubes are longer, then chop 'em in half. Kitchen roll is also easier to use when off the roll. Good to see the craft genes are showing! Imagine what will happen when he and Argy want to make Hogwarts! Well, he is pretty sharp, isn't he? That story is going to make me run a mile from any crafts involving toilet rolls. My cats pull enough toilet paper off the rolls without needing the kids to join in. ha ha good on you Bargy! My daughter would loooove this craft! Can't wait to see Hagrid.. Brilliant! What book is that? And we've missed you, Liesl! Welcome back! You are so clever... and you haven't lost the ability to make me laugh. Thank you. I know this is an old post, but I'd really like to know where to get this book/magazine. I've tried searching for "Delightful lotta magazine" to no avail.